They do not call themselves design duo, but Mieke Meijer (1982) and Roy Letterlé (1978) work together closely. 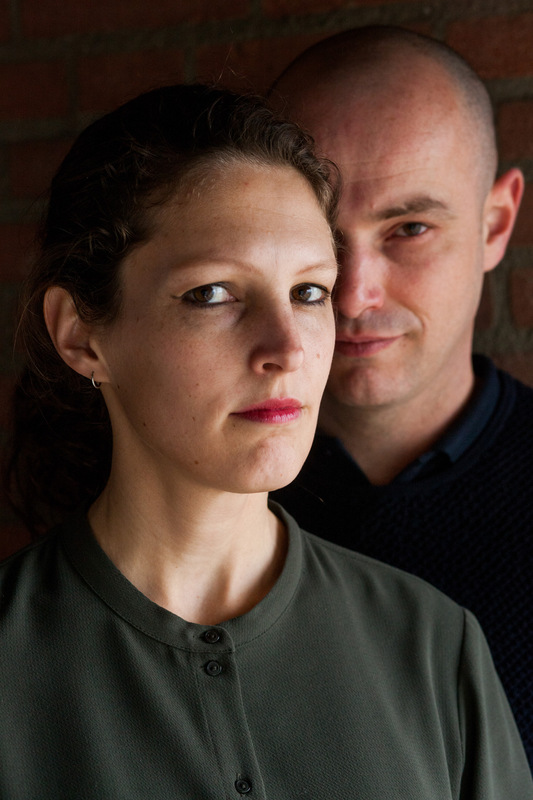 They met fifteen years ago as students in Eindhoven and have been life partners ever since. Their research-based work – ‘furnitecture’, as they like to call it – is a loving marriage between craft and modern techniques, thoughtful designs distinguished by clear lines, constructive imagery and industrial detail. Meijer’s Design Academy project Newspaperwood, ‘wood’ made out of newspapers, was further developed in a company of the same name, of which they are co-founders. They are currently cutting the paper wood into very thin veneer. It is only a matter of time before a product arises. Contextualising architecture is some-thing the two did for the new exhibition Once Upon Design: New Routes for Arabian Heritage in Sharjah, near Dubai. For four months, their Courtyard Culture will be on show – it is an installation that re-contextualizes regional courtyard architecture, with stairs, sitting corners and many cooling plants. Find more information about the presentation of Mieke Meijer, Roy Letterlé and Jeroen Wand during the Milan Design Week 2016 here.